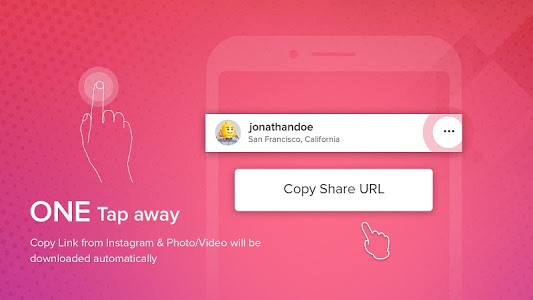 Save & Repost for Instagram is a tool that lets you save any Instagram videos or pictures directly from your Instagram feed. No login needed. No special credentials. After saving you can do anything with them even repost on any Socials Network. 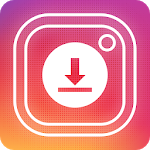 It differs from other Video Downloader for Instagram or easy downloader or iSave, it is easier and fast to use. You can see Screenshot or Video for "how it work"
► Save pictures and videos from Instagram (yes, already). ► View saved stories in a bar at top of main screen. ► Get details of users by long press on saved photo. ► Very fast download speed with Save and repost. 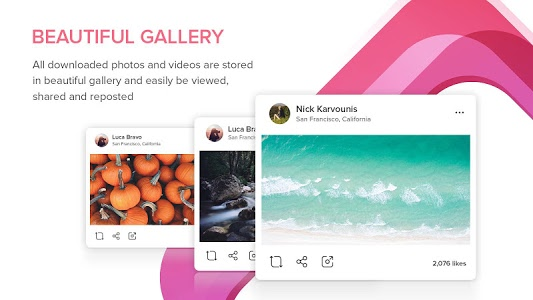 ► Photo and video manager is simple and useful. 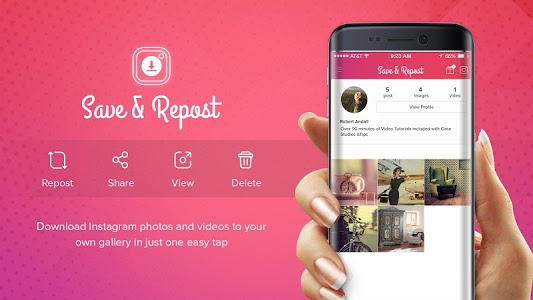 ► You can repost any photo you saved from Save and repost for Instagram. ► Turn on save and repost by taping on the main switch below the InstaSaver logo. 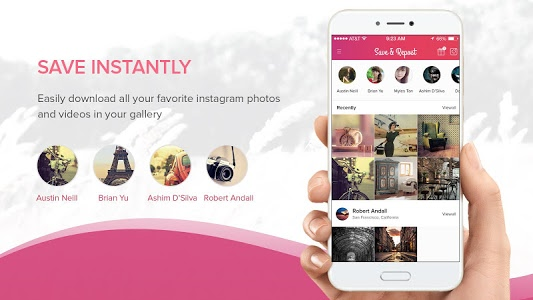 ► Select Copy Share URL on any public photo or video. ► Photos/videos will start downloading automatically in notification. Similar to "Save & Repost for Instagram"